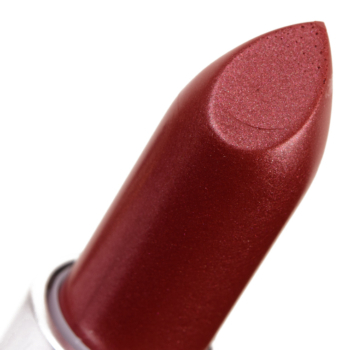 MAC Smoked Almond Lipstick ($18.50 for 0.1 oz.) is a muted, medium-dark coral with warm undertones and a satin sheen. It had semi-opaque pigmentation that applied evenly but separated along my lip lines and emphasized my lip texture as a result. The consistency was denser, a bit firm, but it melted against my lips enough not to drag during application. It wore well for four hours and was lightly hydrating. This color used to be available in the Liptensity formula, and it was more pigmented with a creamier, glossier finish (better quality overall). MAC Smoked Almond (DC, $21.00) is darker, more pigmented (90% similar).Colour Pop Spring Roll (P, $7.00) is less shimmery, lighter, warmer (90% similar).Tarte Siesta (P, $21.00) is less shimmery, cooler (90% similar).Tom Ford Beauty Monica (LE, $36.00) is darker (90% similar).NARS Sheena (LE, $34.00) is less shimmery, darker (90% similar).Bite Beauty Date (LE, $26.00) is less shimmery, lighter, cooler (90% similar).Tom Ford Beauty Zoe (LE, $36.00) is lighter (85% similar).Make Up For Ever C107 (P, $22.00) is less shimmery, warmer, less glossy (85% similar).MAC Down to an Art (P, $18.50) is less shimmery, lighter, warmer (85% similar).Bobbi Brown Pink Buff (P, $37.00) is less shimmery, warmer (85% similar). 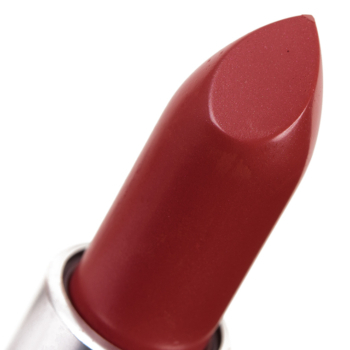 MAC Lipstick comes in a variety of finishes, and the pigmentation and wear tend to be dependent on the finish. The sheer finishes, like Lustres, tend to wear for only a couple of hours and have sheer coverage (as designed) and are non-drying. Some of the original Matte shades have a stiffer, drier formula, while newer ones have a more velvety, silicone-feel to them, and the latter are creamier, more comfortable to wear, and easier to apply, but most Matte shades are quite pigmented and long-wearing, though some are drying. The Amplified and Satin finishes tend to have good pigmentation, lightly creamy to moderately creamy consistencies with a bit of shine, and moderate to long wear with deeper, richer shades wearing longer. The Frost and Metallic finishes have the most variance between shades with coverage ranging from semi-sheer to opaque with average wear and non-drying to slightly drying formulas. All MAC lipsticks are vanilla-scented but have no discernible taste. 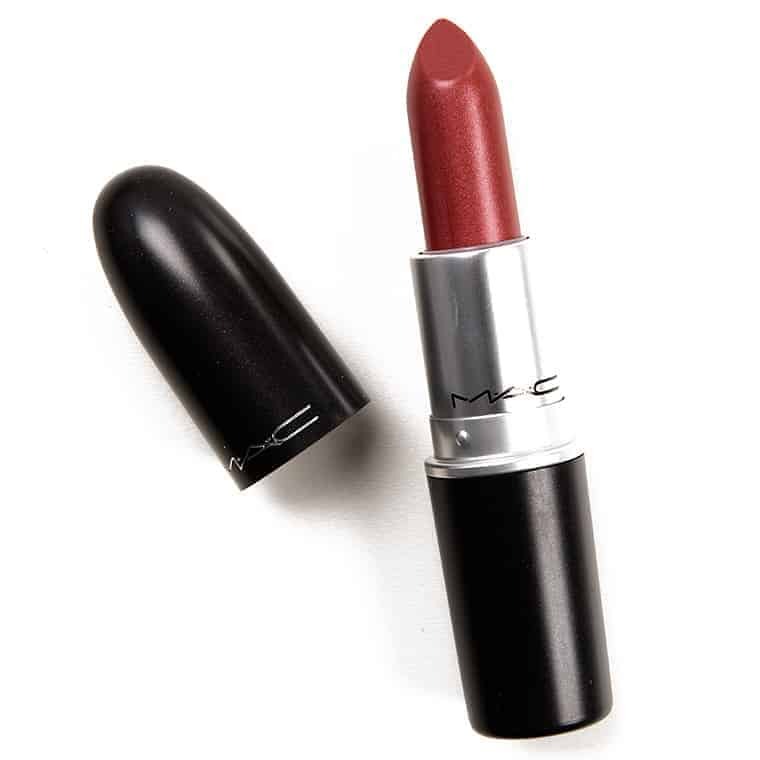 MAC Good Form Lipstick ($18.50 for 0.1 oz.) is a medium-dark, coppery-red with warm undertones and a fine, pearly sheen. It had a “Lustre” finish, which meant it wasn’t supposed to be full coverage (like most of the MAC lipstick finishes), though it still had more medium to semi-opaque color payoff in a single layer. The texture was thin, lightly emollient, but it didn’t feel clingy and didn’t settle into my lip lines. It stayed on well for three and a half hours and was neither drying nor hydrating on me. Sephora Sun Stone (106) (P, $14.00) is more shimmery, darker, less glossy (90% similar).Burberry Coral Pink (265) (P, $34.00) is cooler (85% similar).Estee Lauder Hot Chills (310) (P, $32.00) is more shimmery, darker, warmer (85% similar).MAC CB96 (P, $18.50) is more shimmery, brighter, less glossy (85% similar).Tom Ford Beauty Donovan (LE, $36.00) is more shimmery, darker, warmer (85% similar).Urban Decay Lovelight (P, $18.00) is more shimmery, lighter (85% similar).Urban Decay Seether (P, $18.00) is more shimmery, darker, warmer (85% similar).Pretty Vulgar Brilliantly Sneaky (P, $24.00) is more shimmery, lighter, glossier (85% similar).Fenty Beauty So Chilli (LE, ) is more shimmery, darker, warmer (80% similar).Estee Lauder Tiger Eye (P, $32.00) is more shimmery, lighter, warmer (80% similar).